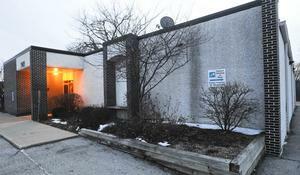 Despite Desperate 911 Incident, Peoria Abortion Clinic Director Opposes Annual Inspections News Article: Peoria abortion clinic inspection reveals violations Illinois Abortion Facility Violations – Part 5 News Article: "We need someone quickly," Abortion staffer tells 911 Van Duyn is the clinic's director. Indicates a change in ownership. Now owned by Whole Women's Health/Amy Hagstrom-Miller. Inspection reports noting appalling conditions at National Health Care from 7/6/2011, 10/14/2011. 11/1/2011, plus correction plans. 01-05-17 Illinois Health Dept Inspection -- Statement of deficiencies & plan of correction. 03-23-18 Illinois Health Dept Inspection with Statement of Deficiencies & plan of correction. Also has clinic admitting privilege documents for abortionists Yogendra Shah (p. 33, 79), Laura Laursen (p. 43-44, 73, 103), and Benjamin Brown (p. 49-50, 119). 2016 Illinois Health Dept Inspections -- Statement of Deficiencies & plan of correction. Various dates. Letter from Whole Woman's Health of Peoria abortion clinic, giving "active admitting privileges" to Dr. L. Laursen. Note: Laura Elizabeth Laursen, MD, is the only medical doctor named "Laursen" in the state of Illinois. Letter from Whole Woman's Health of Peoria abortion clinic, giving "active admitting privileges" to "Dr. B. Brown."